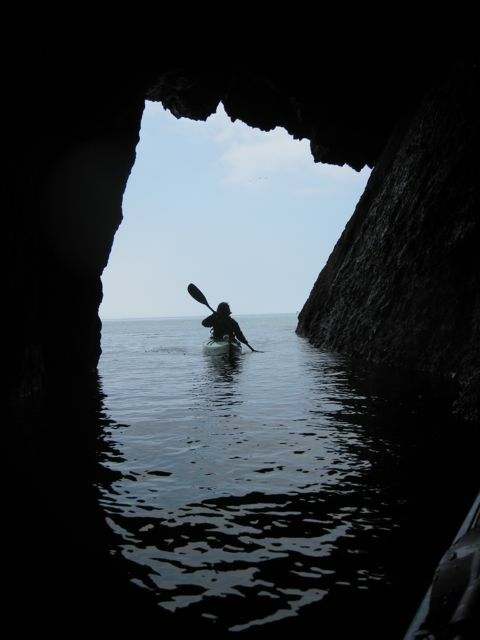 On a recent day off, Dawn and I went for a short sea kayak trip along Anglesey’s north coast. Setting off from National Trust car park at Cemlyn (home to a Tern colony) we headed East past Wylfa head. We lunched on a secluded beach before continuing past Cemaes to St Padrig’s church and the sea cave. 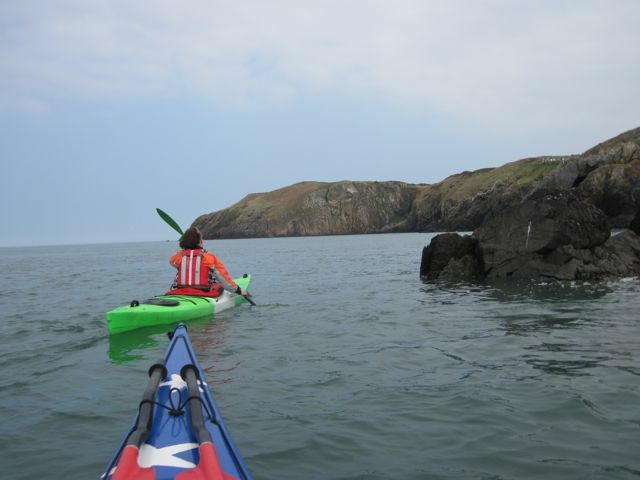 Having reached Llanlliana we ferry glided out towards Ynys Padraig to pick up the ebbing tide for our return and were joined by a pod of porpoises. 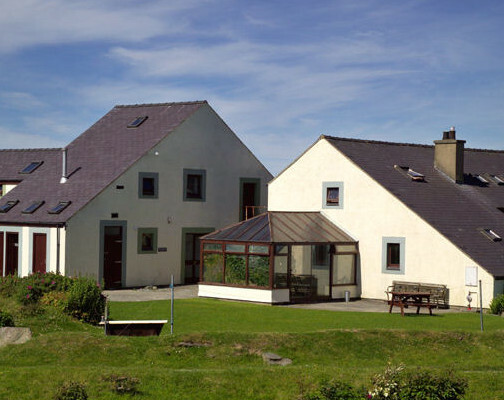 Great to see – tricky to photograph! A great short trip in the March sunshine!